Whether you simply need to distribute power in your rack, or you want to remotely control power down to the outlet level, Rackit's PDUs offer an array of solutions to meet your power and energy requirements. Intelligent PDUs combine power distribution at the rack with the ability to monitor equipment power draws, allowing you to measure and manage draw down to the outlet level, providing you with greater control of your energy consumption. 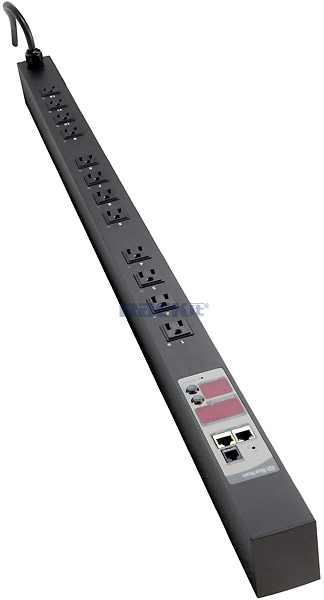 At either 15 or 20 Amps, 19" rack-mount or zero-U form factor, Rackit's standard PDUs provide ample power outlets to support densely populated racks, can seamlessly integrate in any type rack and are available in various mounting styles. Centralized energy management system for environment and power metering, monitoring and management, including control of multiple intelligent PDUs, measure, monitor, retain, report and analyze power-usage and environment conditions at any level – data center, rack, department, equipment type.